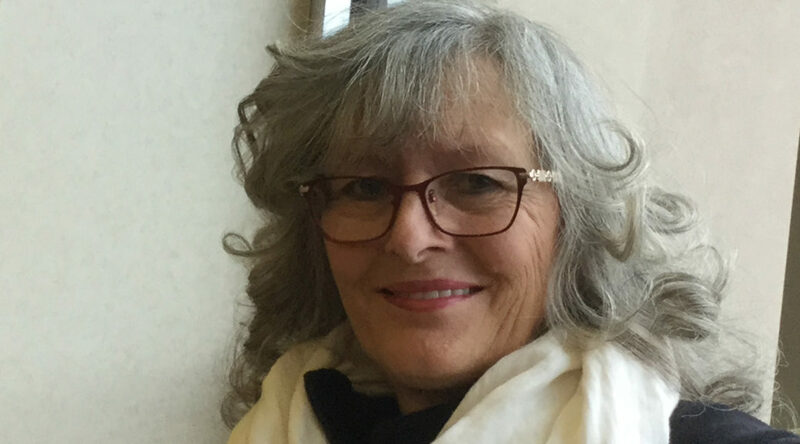 This blog series is based on the webinar, “I am a person with dementia and a person with rights,” hosted by brainXchange and presented by Phyllis Fehr on December 13, 2017 (part one) and January 17, 2018 (part two). One day, Phyllis Fehr walked through the doors of a grocery store, and found confusion. Phyllis, who had been given a working diagnosis of early-onset Alzheimer’s along with Lewy Body dementia at age 53, had gone into a store she wasn’t familiar with. The first wave of what felt like an anxiety attack washed over her. Where am I? Disoriented, but not lost, Phyllis resolved to treat her situation, talking herself down and asking herself logical questions: Phyllis, you’re in a grocery store—so, you must have come in here for something. Feeling calmer, Phyllis started to shop, starting with the produce section. She picked up vegetables she knew that she ate, though whether she actually needed them or not was not something she could answer at that time. Here, the story forks. For Phyllis, this experience at the grocery store—feeling confused, not remembering—has happened more than once. And when it came to the part when she asked for help, when she asked for someone to understand her, she can recall two memorable moments, though for different reasons. In one moment, the worker’s response was blunt. Dismissive. “If you don’t know what you want,” condescended the worker, “then I can’t help you.” The worker turned abruptly and walked away, leaving Phyllis with returning feelings of uncertainty and anxiety. In the other moment, the worker nodded. Patiently, she took her time with Phyllis, allowing her to sit and sample each kind of lunch meat available at the counter. Through this, Phyllis recalled and bought the meat she knew she wanted. Feeling safely assured, her feelings of anxiety were long gone. One scenario of confusion and uncertainty at the grocery store—a situation that people living with dementia are all too familiar with. Two different interactions, one negative and demeaning, the other positive and pleasant. For Phyllis, the difference between a successful and unsuccessful trip to the grocery store laid with the awareness of those who helped her. The stigma she faced from one worker and the kindness she received from the other showcased to Phyllis both the reality and potential of the world for those living with Alzheimer’s disease and other dementias. Across Canada, many people living with dementia could tell similar stories as Phyllis’s, whose outcomes rested on positive and negative interactions. Reflecting on the differences in reactions between the two workers, Phyllis realized the fundamental issues at play: the lack of education about dementia, and the lack of advocacy from people living with dementia to spread education. Today, Phyllis is an advocate for people living with Alzheimer’s, and a board member of Dementia Alliance International. A popular guest speaker, Phyllis brings together her perspective of someone living with dementia with her goal to eliminate stigma by spreading awareness. So, is Canada on the right track in reaching that goal? Phyllis points to the current development of Ontario and national dementia strategies as positive indicators. Further, she recommends looking at positive examples in other disabled communities where they overcame stigma. “Each disability has its own challenges and its own stigmas,” says Phyllis. “But when they start to stand up for themselves, the fight for their rights, things do change. In part two of this series, Learning to practice from a human right’ perspective, we will look at how the rights enshrined in the U.N.’s Convention on the Rights of Persons with Disabilities can specifically apply to people living with dementia.